Union acquired Xenith in a $700 million all-stock deal. As the clock struck midnight on Jan. 1, a new Richmond banking giant was born. Union Bank & Trust is now a $12 billion regional institution, following its New Year’s acquisition of its Richmond-based peer Xenith Bank. The marriage combines Xenith’s $3 billion in assets with Union’s $9 billion, creating what Union CEO John Asbury touts as “the new Crestar,” a reference to a long-since consolidated Virginia banking giant from the late 90s that had upwards of $24 billion in assets. Xenith CEO Gaylon Layfield, who will now serve in an advisory role at Union, concurred with the historic perspective. As part of the all stock deal, Xenith shareholders received 0.9 shares of Union stock for each of their Xenith shares. Union used Keefe, Bruyette and Woods as its investment bank for the Xenith deal and Troutman Sanders as its legal advisor. Sandler O’Neill was Xenith’s financial advisor and Hunton & Williams is its legal counsel. 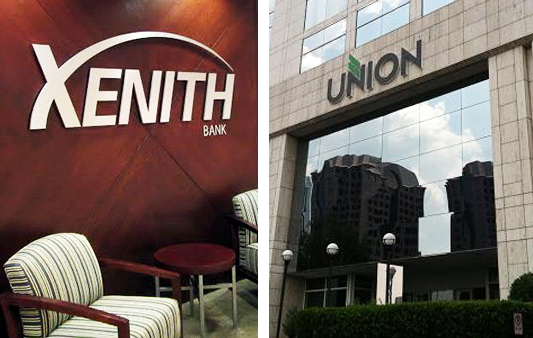 The combination gives Union its first significant branch presence in the Hampton Roads market, taking over a swath of locations Xenith absorbed through its deal last year with Bank of Hampton Roads, as well as Xenith’s operations in Northern Virginia, North Carolina and the Eastern Shore. Xenith brought with it around 42 branches. That territory, combined with Union’s heavy presence in Central Virginia and the western part of the state results in what it says is an unrivaled network among its Virginia-based peers of around 150 branches across the commonwealth. The deal extends the family trees of both Union and Xenith, both of which have grown via acquisition over the years. Union’s last acquisition came nearly four years ago to the day, when it absorbed Christiansburg-based StellarOne Bank to become a $7 billion bank. It was known then as Union First Market Bank, thanks to its 2010 combination with the former Ukrops/Markel-owned First Market Bank. Xenith was founded in 2008 by Layfield and a group of investors as Xenith Corp., with hopes of opening as a new, independent bank. When the downturn made getting a bank charter nearly impossible, Xenith pivoted and purchased the former SuffolkFirst Bank. Eventually converting it to Xenith Bank, it grew both organically and through acquisitions, beginning in 2011 when it bought both the Richmond operations of Paragon Commercial Bank and the assets of the former Richmond-based Virginia Business Bank, which was the only local bank to fail in the wake of the recession. In summer 2014, Xenith acquired Colonial Virginia Bank, a small institution based in Gloucester. Last summer, it was acquired by Virginia Beach-based Bank of Hampton Roads, creating a $3 billion institution that kept the Xenith name, Xenith’s Richmond headquarters and Layfield at the helm. Bank of Hampton Roads was founded in the late 80s and grew largely at a normal pace until just prior to and after the recession, when it took on Shore Bank on the Eastern Shore and Gateway Bank & Trust, the latter of which came with baggage that took years to overcome. Gateway Bank grew out of Eastern North Carolina, in part via acquisition of the former Bank of Richmond. For Layfield, the Union deal allows him to retire, which he said he’ll ease into after transitional role at the bank through May. “I am looking forward to some time to spend with my family, pursue some things I’ve always been interested in and I’ll be watching with great enthusiasm from the sidelines,” he said, adding that he has no plans of leaving Richmond.